As Ranbir Kapoor, the chocolate boy of B Town has much to celebrate, for his 36th birthday. As he turned 35 this year, he has something really special and exciting in his life. He got the purple touch this Big Day in his career of acting, while this simply does not mean that his personal life is away from any kind of excitement. 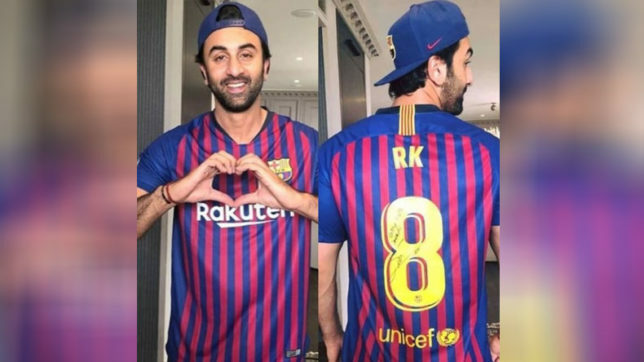 Many of his fans must be aware of the fact that he happens to be football fanatic, and he is a big fan of the known footballer Lionel Messi. Well, so, what could be his biggest gift on this birthday, any guesses. Well, yes anything from the footballer would be a big gift for him. Well, that’s the big gift for the actor.